If you find yourself without a game, you are free to arrange one with another team in a similar position. If you cannot find a team in the Postponed/Cancelled section on Full-Time, you can look for a team opposite who do not have a scheduled fixture. When arranging a fixture, please bear in mind that the other team will most likely be in a different ability group. Therefore always agree with each other on how you will manage the game if the gap is significant. Full-Time includes the option to allow team administrators to send in scorelines via SMS Text Message. Full-time allows two mobile numbers to be registered for each team. This is generally the Team Manager or maybe a Team Secretary or possibly the Club Secretary. In order to register a number with Full-Time the team administrators need to be given a Team Manager or Team Secretary role in WGS. 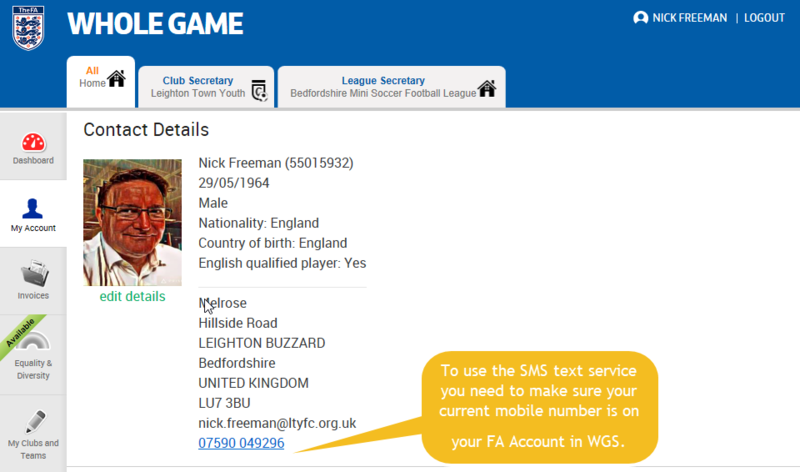 It is important that team administrators who wish to use this service make sure that they have their current mobile number on their FA account in WGS. At the start of the season, we will assign all Team Managers that have a mobile number the service automatically. If you need an additional team administrator assigned to the service or you are not receiving your result text from Full-Time please contact support@bmsl.org.uk. During each game, Full-Time will send an SMS Text Message to each registered mobile number, reminding you to send in the result of the game. After the game, both home and away team administrators should report the score by replying to their message using the word RESULT (followed by a space) and giving the score for the game, home team first, away team second, and separated by a hyphen. 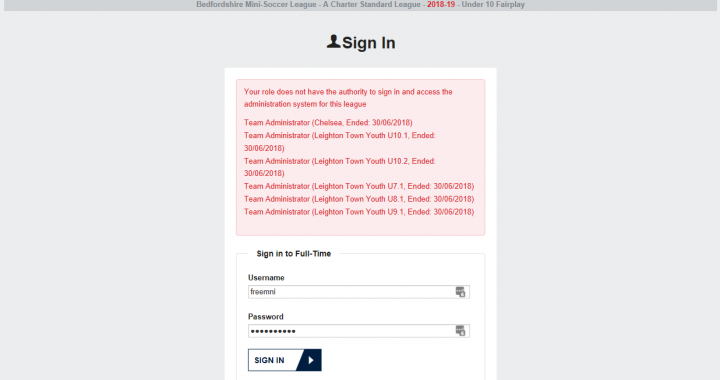 The only exception is if you are registered to send in results for more than one team, in which case Full-Time will include a team code (for the BMSL this will be a 4-digit numerical code), which you need to add after the result so that Full-Time can identify which team is being reported. 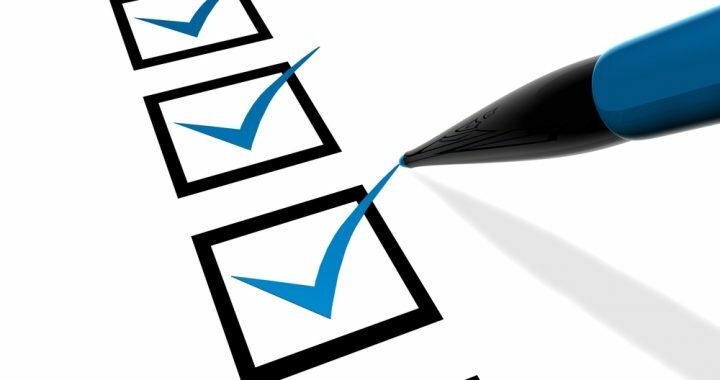 It is important to note that you should not add other information and that the text must begin with the word RESULT otherwise Full-Time will ignore it. The text must be sent from one of the registered mobiles as Full-Time identifies you by the mobile number it has been given. Full-Time allows you to report postponements (RESULT P-P) and abandonments (RESULT A-A). Why not submit your scores using the FA's new Matchday App? Matchday is a new mobile app that allows you to manage your football on the go. Download the app to your iOS (Apple) and Android devices. 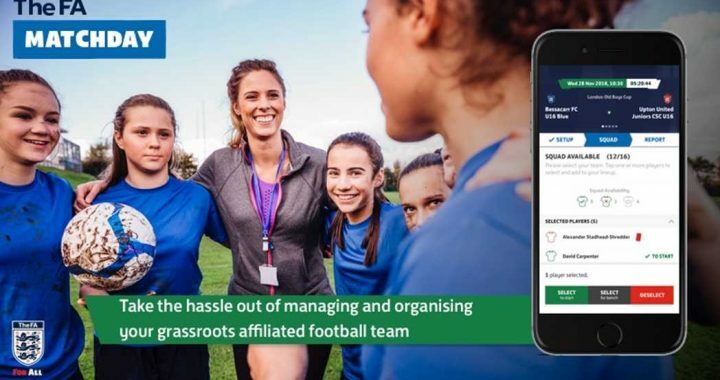 Matchday is a new mobile app that allows you to manage your football on the go. Download the app to your iOS (Apple) and Android devices. After the game, you can even submit your match report or match return via the app too meaning less work off the pitch (coming soon). 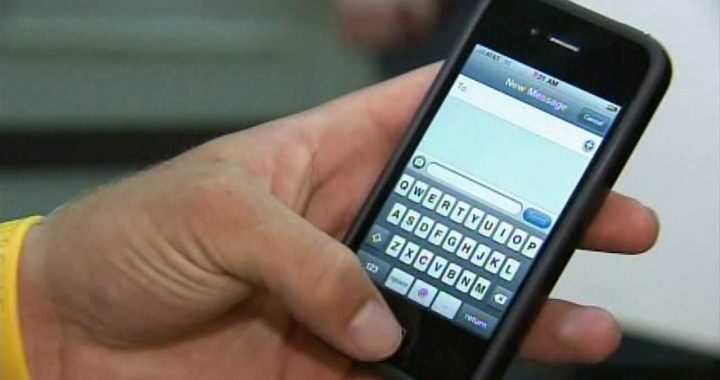 Voice, text, email and instant messaging are all acceptable forms of communicating arrangements, however it must not be assumed the fixture has been confirmed when using text or electronic communication until the away team has acknowledged your message. The list of team and club contact details is know as the Club Directory. This is available under My Resources on the main menu once have logged into your BMSL account. 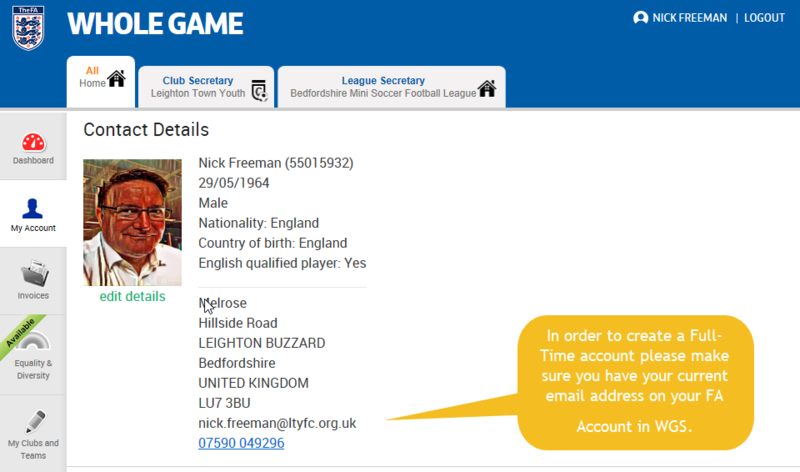 You can search for contact details by family name, club or club role (don't forget to click on the Search button after you have made your selection). If you cannot find the team contact you are looking for you will need to contact the club's League Liaison or Secretary. If neither of these are available in the Club Directory, then you can find a list of member club contacts here. What do I do if the fixture has not been confirmed by Tuesday evening? 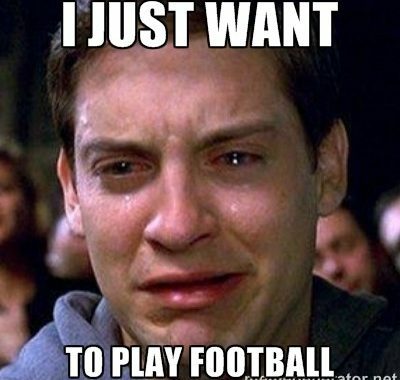 If you are the away team and the home team has not confirmed arrangements for a Sunday fixture by Tuesday 9pm with you, you should contact the club secretary of your opposition to find out the arrangements. If by Thursday you have not had confirmation, you are free to arrange an alternative fixture with any team in your division that does not have a game.